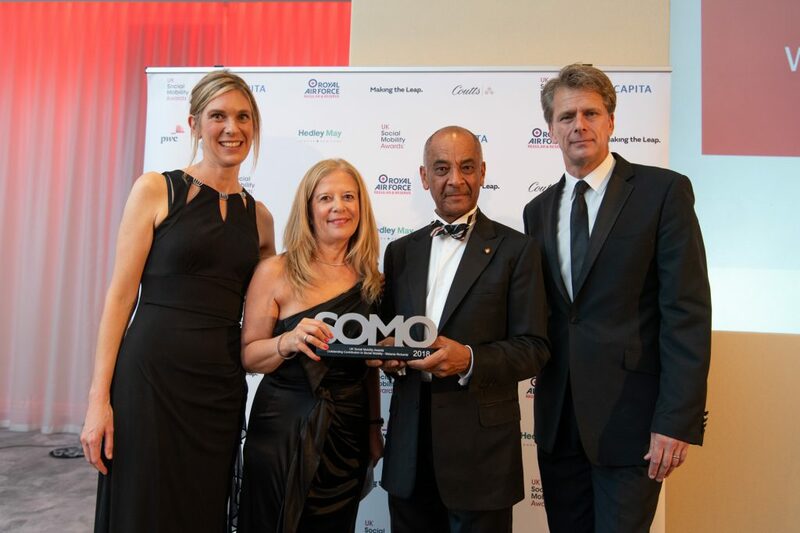 The UK’s only awards dedicated to recognising the achievements of individuals and companies in promoting social mobility celebrated their second year with a fantastic gala at the London Marriott Grosvenor Square. 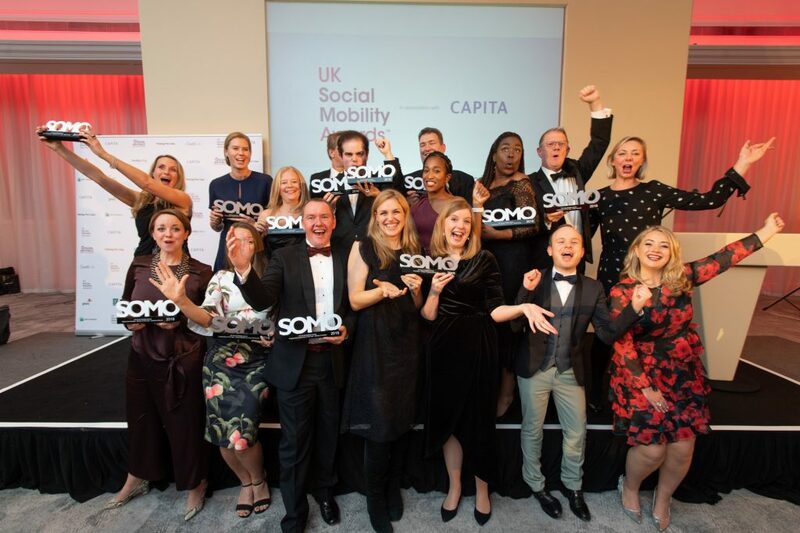 The winning entries of the second iteration of the UK Social Mobility Awards were announced at a dazzling awards ceremony on Thursday, 18th October. The Awards celebrated the forward-thinking organisations developing initiatives to promote social mobility, either within their own workforce, or by influencing the debate from beyond their own walls. 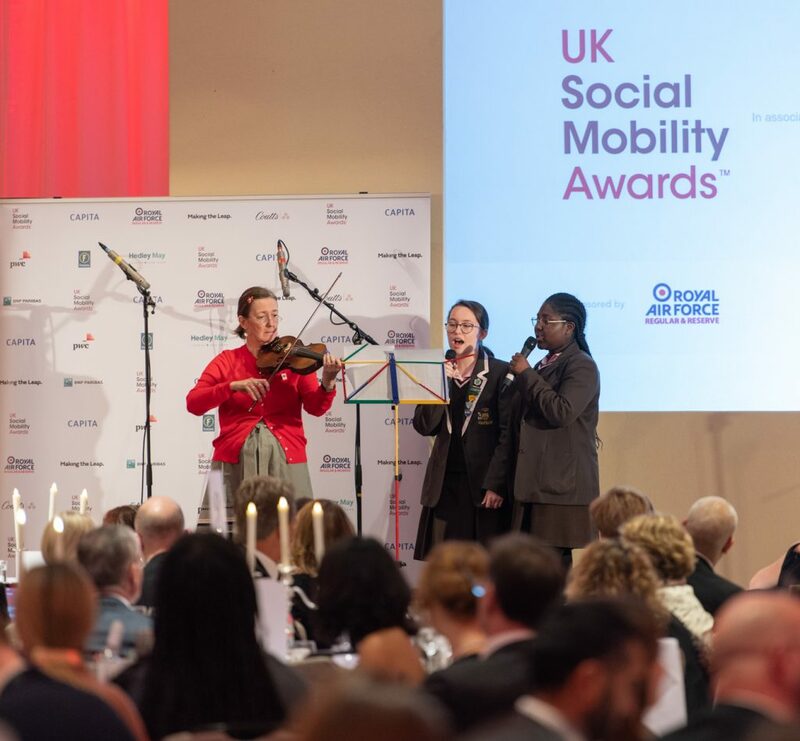 By raising awareness and celebrating the people and organisations that are committed to bringing about change, these awards aim to advance the practical implementation of social mobility in this country. 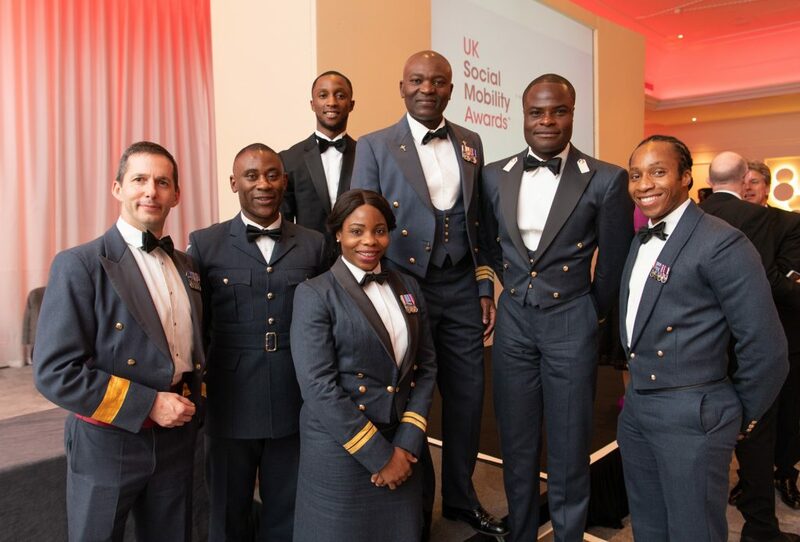 The Awards, which are held in association with Capita and sponsored by the RAF, received an impressive array of entries from around the UK and from a range of sectors and industries that have demonstrated excellence in their social mobility initiatives. Entries were judged by a prestigious judging panel, made up of leading figures in business, charity, politics and the public sector. Andrew Castle proved to be a popular host! The night began with a drinks reception and three-course meal, during which a letter of support from the Prime Minister, Theresa May, was introduced. The gala evening was hosted by TV and Radio presenter, Andrew Castle, and guests were entertained by performances from students at the Notre Dame School in Southwark, before the winners were announced and presented with their awards. There were many inspirational speeches delivered on the night as trailblazing social mobility advocates from both business and government, Sir Kenneth Olisa OBE and Nadhim Zahawi MP, delivered stirring calls to action. 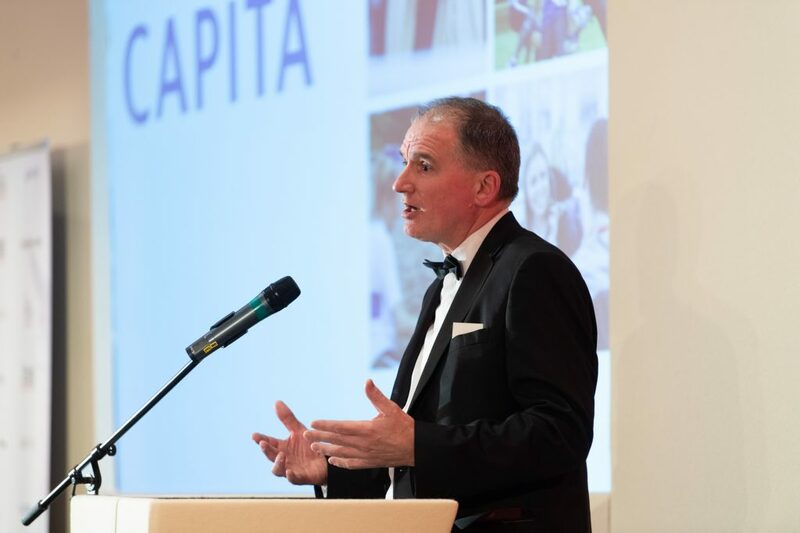 Similarly, the CEO of Capita, Jon Lewis, doubled-down on his organisations support of the UK Social Mobility Awards and the impact they are having across the UK, committing to headline sponsorship for the following two years. The ceremony ended with Melanie Richards, Deputy Chair for KPMG and winner of the ‘Outstanding Contribution’ award, looking back on a professional career devoted to advancing social mobility and offering her advice for the future. 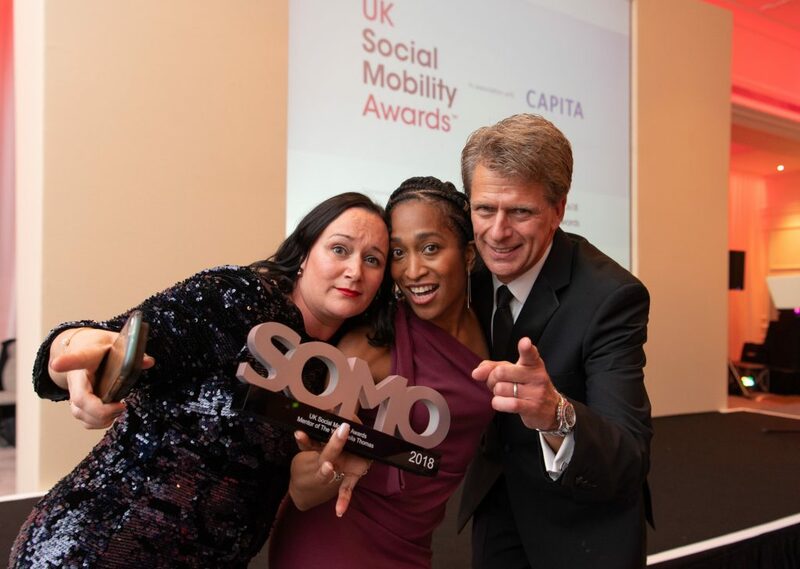 After a wonderful gala, guests were then free to hit the dancefloor and take selfies with their SOMOs trophies, which they did not hold back from! A huge thank you goes to everyone who made the awards possible, from attendees to judges, sponsors, finalists, supporters and friends. We look forward to an even better event in 2019. To view the photos from the night, click here. To view the #SOMOs18 Twitter Moment, click here.